So, I wasn't going to do it but impulses won! I just used my state refund to buy myself a graduation present. 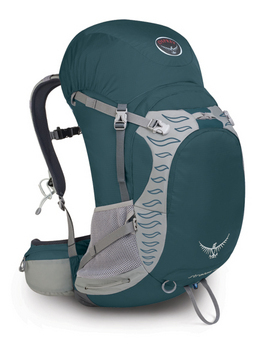 I purchased a fancy new Osprey Sirrus 36 pack. Only 36 liters, a serious downsize from my 65 liter pack, there shall be no worries of over-packing this one! It will arrive on Friday and with a week and a half to spare before my Chicago/Madison trip (also a graduation present to myself). I'll rent a car upon flying into O'Hare. I'll drive the 2.5-ish hours to Madison, WI for the evening to visit an old friend. I'll stay in HI - Madison the first night and in the morning I'll head back down to Chicago to drop the car off. The next two nights I'll spend at HI - Chicago. I have one other friend that I'll get to go out to eat with, I'll visit the big mirror bean, Hull House, the Navy Pier, and more. I'm excited but I wish Adam was coming with me!